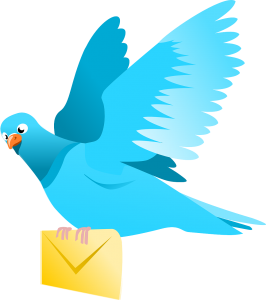 Most web applications use email to communicate with users. Common use cases are to confirm registration for a webapp, to inform customers about the status of an order, to send an invoice etc. Of course you can send a plain text email, but it’s much nicer to send the emails in the style of the corresponding website, using your own email template. Email templates are very useful for this purpose and fortunately, they are easy to use in Laravel. One of things that is a bit more tricky, is the customization of the ‘password reset email’ of a default Laravel installation. The default Laravel authentication contains features like user registration, login and password reset functionality. They saved us lots of time, but it took us a bit more effort to customize the password reset email. In this blog, we describe the process of creating mailables, apply them to your own emails and finally customizing the ‘password reset emails’ that are included in the authentication scaffolding of Laravel. As a result, a new directory ‘vendor/mail’ is created in the resources/views directory of your project, which contains a html and a markdown folder. Those contain the components to build up the emails. The html of your template, including a,,and all other fixed parts that should occur in every email you’re sending, e.g. logo, contact information etc. At the location where you want to put the main content of your mail, add a $slot variable. Named slots can be added to the template, for example, a $title variable. For elements that occur in many emails, you can create components or customize the components that ship with Laravel (for example the button component). Save a copy to the markdown folder. This is the plain text version of the email, so you have to strip all html from this version. This creates a file OrderStatus in the App/Mail directory, and a corresponding view in the resources/views/emails folder called ‘order-status’. This code indicates which email is going to be sent (‘order-status’), what the subject is and who is the sender. Now, your email is ready and all you have to do is send the email. Laravel has authentication scaffolding which saves you a lot of time when setting up a new webapp. It sets up functionality for users to register, login and reset their password with a single command. This will include a button with a link to the page where a user can choose a new password. Of course, it’s the link itself that is important, you can choose a different styling. In the constructor method, we accept the email address of the user and some token which is used by the Laravel framework. In the build method of the mailable, we pass these variables to the view. In the constructor we accept the token and email variable. Next, in the via method, we define the channel we want to use (email) and finally, we send the email in the toMail method. Now you’re done and users will receive a customized password reset email. This entry was posted in PHP and tagged email, Laravel on 27 November 2017 by Leonie Derendorp.